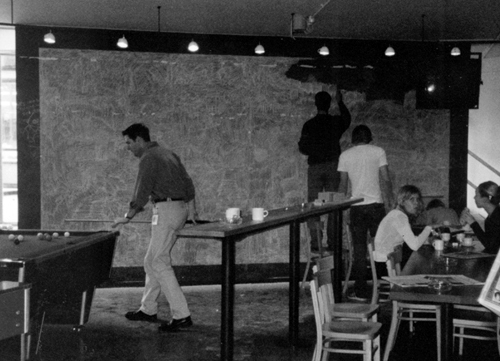 In the coffee bar at the Royal College of Art a large blackboard covers one wall, which is used to write down pool game scores, jokes, messages, doodles, and graffiti. 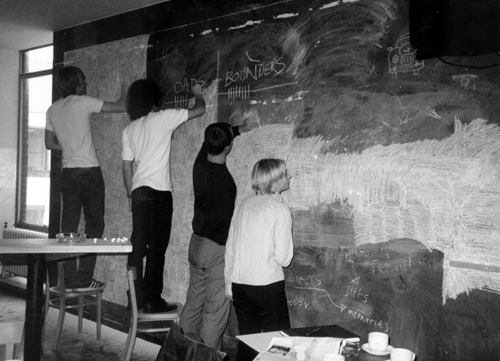 My friend Martin Anderson and I decided to color the entire blackboard white using regular sticks of chalk. It took us the entire day, with the help of a few friends during their coffee breaks.